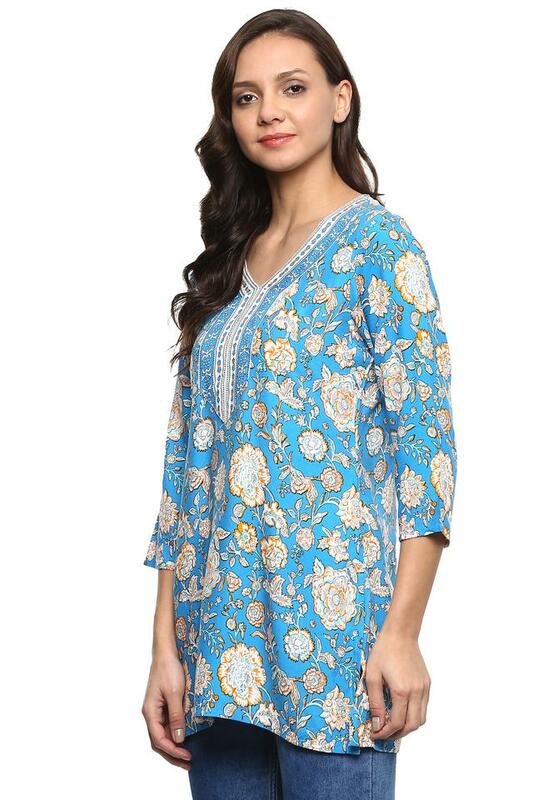 Add spark to your apparel collection by including this kurta presented to you by Stop. Crafted with care using a good quality fabric, it is quite easy to maintain. 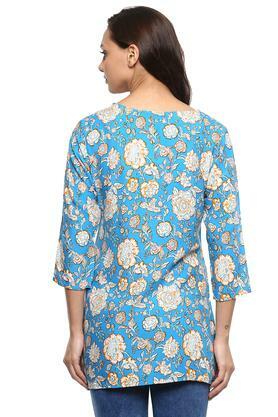 In addition, it features a printed pattern, three quarter sleeves that renders it sophisticated. It also flaunts a V neck that adds to the design. 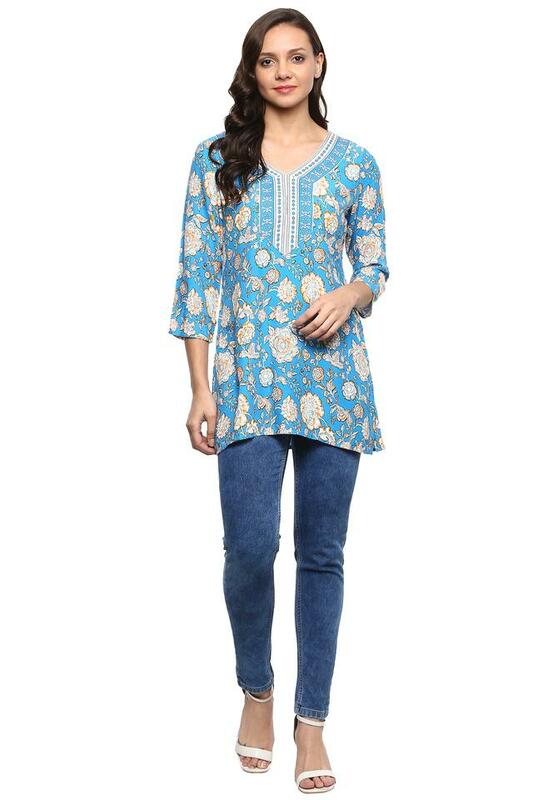 Step out in style by wearing this kurta from Stop and upgrade your wardrobe collection. Team it with a pair of leggings and mojaris to look chic while hanging out with friends.